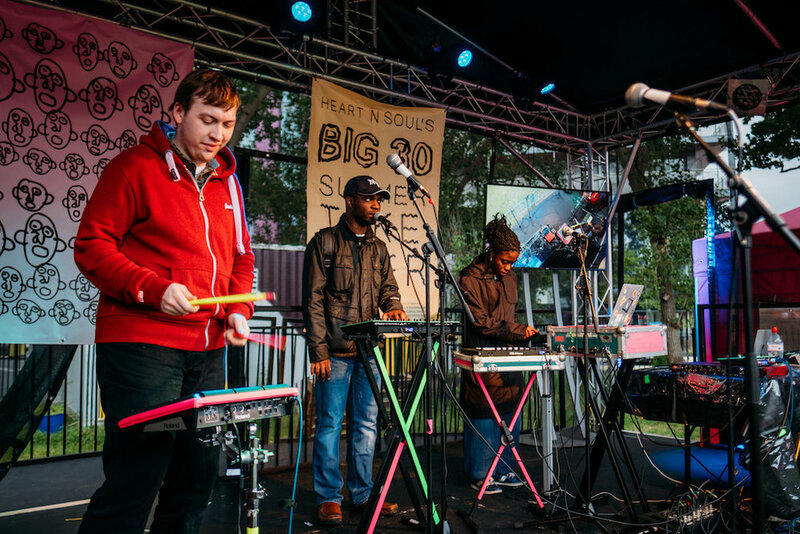 We had an amazing time at SoundLab Play Rave, our last official Big 30 event in Deptford! There was a lot going on. We tried out the latest music technology from companies including DADA machines, Hackoustic, Ampify, Novation, Studio Amplify and Do It Kits. Everyone also enjoyed performances in the garden (despite the weather!) 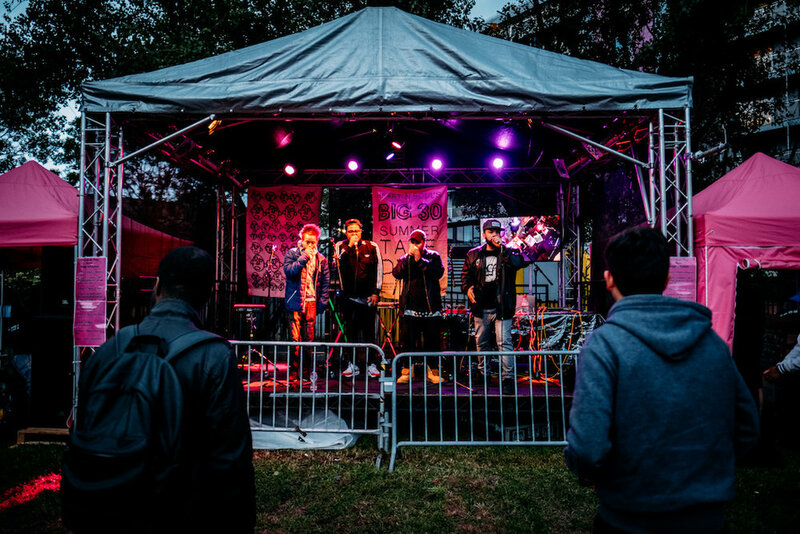 on our music stage, kindly supported by Novation and Ampify. 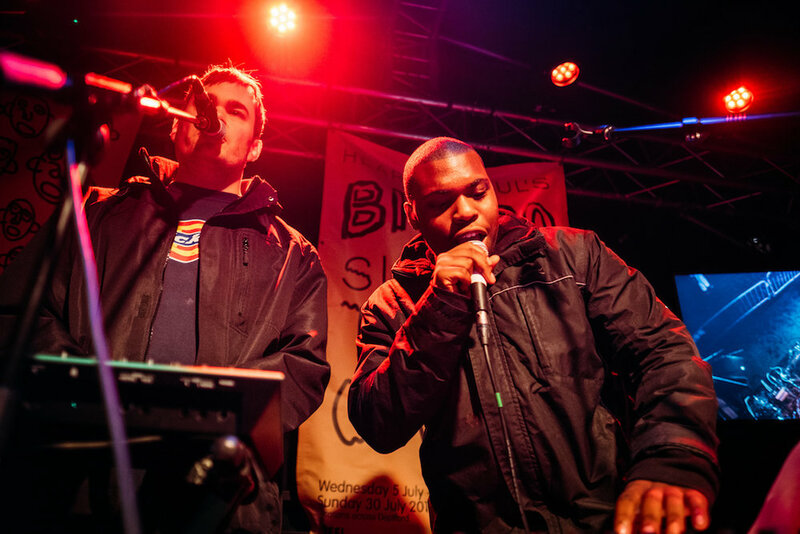 Performers included Heart n Soul artists K-Dog, Maurice, Electric Fire, guest artists Lynsey Dart (known as Electric Sister), Conrad Murray & BAC Beatbox Academy, plus anyone who wanted to create digital music on stage! We finished the night by dancing to the tunes of Heart n Soul's DJs. You can see more photos of the evening online here! Though the Play Rave was the last official event of our Big 30 Summer Takeover, there is still lots to look forward to. 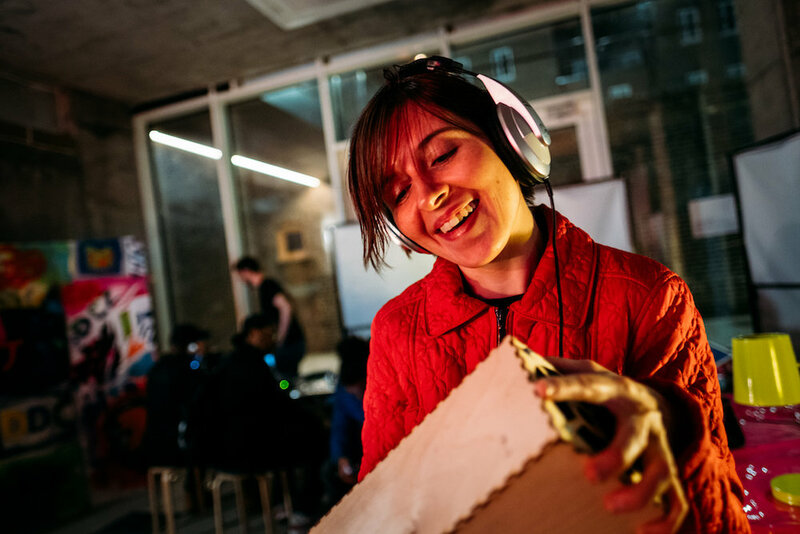 You can come along to one of our Heart n Soul DJ sets on the Riverside Terrace of Southbank Centre for the next two Sundays, see new art by our Do Your Own Thing participants at the Could be Good studio, AND part of The Big 30 installation will be on display at Lewisham Library in September. More details here!